A new year means new beginnings, and new opportunities to make memories that’ll last a lifetime. When you visit Pigeon Forge, there’ll be plenty of exciting moments you’ll be able to cherish forever. 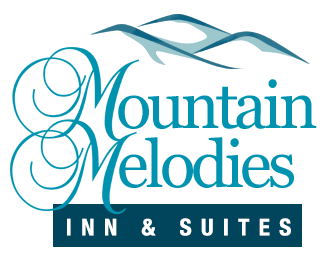 From Dollywood, to The Island, Pigeon Forge has it all, and when you stay at Mountain Melodies Inn, you’ll be just minutes from all the fun. Here are the top 3 reasons to stay at our Pigeon Forge hotel in the new year. Our hotel is right on the Parkway in Pigeon Forge! That means you’re right in the middle of all the excitement Pigeon Forge has to offer. No matter what you want to do, you’ll be minutes away from making it happen! Making your dreams for the new year come true won’t be hard when you’re close to all the fun. You can go shopping at the best outlets and boutiques in the area and get amazing souvenirs to take back home, or dine at delicious and popular restaurants. Spend your day at Dollywood making incredible memories riding thrilling roller coasters and laughing with friends and family, or go watch an incredible performance at the Smoky Mountain Opry down the road! There’s so much to explore in Pigeon Forge, and staying at our Pigeon Forge hotel makes it easy to see all of it during your vacation! Our hotel offers comfortable rooms and luxurious amenities that provide you with everything you need to have an unforgettable vacation. We have rooms that accommodate up to 6 adults! Families will love our two-bedroom suite and couples will love our honeymoon suite. Some rooms even have private balconies, so you can enjoy the gorgeous views, along with Jacuzzi tubs and fireplaces! All our guests are provided with an in-room mini fridge, free wi-fi, complimentary breakfast, free parking and more! There’s an outdoor pool so guests can splash around in the warmer months and a hot tub to relax and unwind after a long day. Whether you’re staying for one night or five nights, we guarantee you’ll have a great stay. You’ll have all the comforts you need to feel right at home when you stay at Mountain Melodies Inn. The best thing about our hotel is that it’s both luxurious and affordable! We offer specials throughout the year that help you save money on your vacation. We make our rooms affordable so that you can use your money on all the exciting attractions in the area. If you reserve your hotel room far in advance, you’ll get a discount on your stay! We also offer discounts for last-minute trips as well, because sometimes the best trips are planned on a whim. Our guests love taking advantage of our specials! Who doesn’t love saving money on vacation? We know we do! Guarantee a year filled with amazing memories and tons of fun when you visit Pigeon Forge! Browse all our Pigeon Forge hotel rooms and start planning your vacation today.